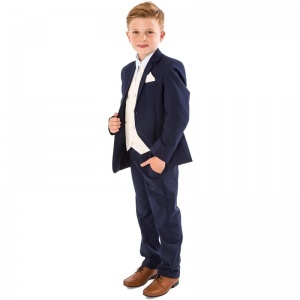 Boys navy & ivory deluxe swirl 6 piece slim fit suit for baby boys, toddler's and older boys, the perfect outfit for any special occasion including a christening, wedding as a pageboy / guest, formal occasion. 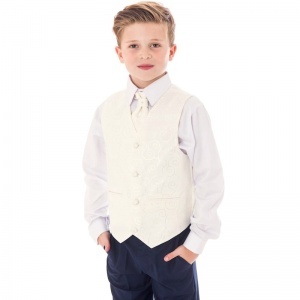 Waistcoat: A fully lined deluxe ivory waistcoat with a large scroll swirly pattern, double pockets, 3 centre buttons, adjustable strap/buckle on back for perfect fit. Cravat: Deluxe ivory cravat with matching scroll swirly pattern and an actual diamante in the centre, velcro fastening at the back, complimenting the suit perfectly. 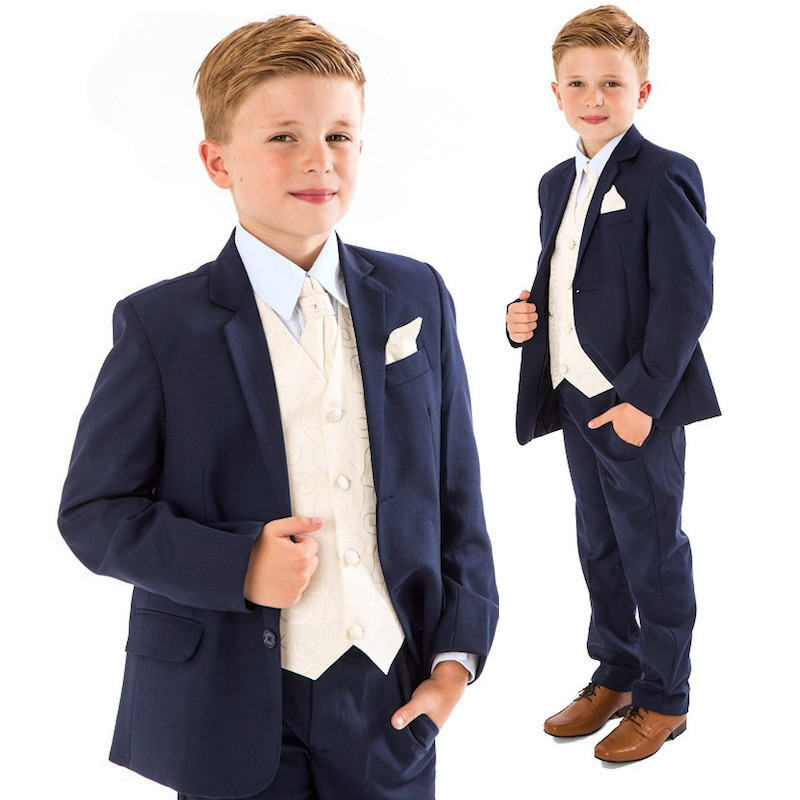 Sizes 3-6 months to 14 years. 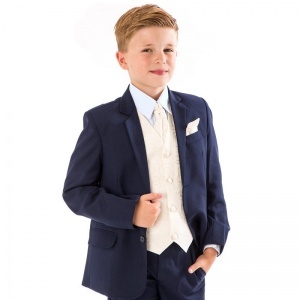 After finding my wedding suit I was panicked to find my 11 year old something similar at the last minute. CSOW.co.uk had lots of choice and the webisite was easy to navigate. I found what I was after and the price was extremely fair. Delivery was fast and I am very happy with the quality of item. Usually you get what you pay for and for the price, something would be usually be too good to be true. Not in this case! A very happy customer. Many thanks. I bought one of these suits and 2 dresses to match the colour scheme for my wedding. I loved all 3 items. They're beutifully detailed, quality made and exactly what I'd been searching for. Would highly recommend this website and the merchandise they supply.